While my outlook and opinion on food has changed, thanks in part to Dr. McDougall, it has not been an easy journey convincing people to “think different” when it comes to what they eat. I swear by a plant-based, whole food diet thanks to the changes I have seen and experienced in just over 6 months. I feel better than I ever have and looking at myself in the mirror I am more and more pleased everyday knowing the decision I made was the right one. Can you fuel your desire by eating differently? Now I am working on an idea to share this way of eating with a group of people who are very competitive in the hobby of amateur radio contesting or radiosport. Not sure it will be all that successful, but why would you sacrifice that edge by filling yourself with crappy food over the course of a 48 hour contest? It comes as no real surprise that many amateur radio operators (or hams) are not the healthiest bunch; struggling with weight, diabetes, heart attacks, strokes. Generalizing the group, many are older, some not in the best of health. So it would only stand to reason that else individuals who make a 36 or 48 hour commitment in a radio contest using the best equipment and sometimes the best antennas would compromise themselves when it comes to what they eat during the contest. As a youth I can remember my the smell of coffee, donuts, candy and many other sugary snacks that were in my dad’s ham shack during a contest weekend. These days, not much as changed as hams turn to that quick energy to get them through a challenging period. What if they had the opportunity to eat better and not suffer coming down from a sugar or caffeine high? The food would have to be something that allowed operators to feel satiated, but also something quick that doesn’t require much time to eat. It would need to be food that could be pre-made and warmed up within minutes. There must be better food to fuel the body when you are dedicated to a long contest. Then again, maybe it’s somewhat of a pipe dream, being able to share my food ideas in this hobby. Maybe it’s not worth the effort, but the logic makes sense. Fuel your body with good, healthy food and you should be able to excel in your endeavors. While May 26 is still a way out, it’s not too early to start planning for the CQ WPX CW contest. It’s one of those contests that I have really come to enjoy, next to the ARRL Sweepstakes. I find it interesting, now 3 years into contesting these two contests would top my list of “most enjoyable.” CW or Morse code wasn’t a mode I really thought of using when I upgraded without submitting to Element 1 testing, since it was dropped by the FCC. Sweepstakes, before participating, I could not understand the draw to the contest, but now 3 years later, these “messages” we exchange during the contest show the importance of traffic handling and being precise. There is more to entering a contest than winning, especially for an operator like myself with a very modest shack and equipment compared to other stations. 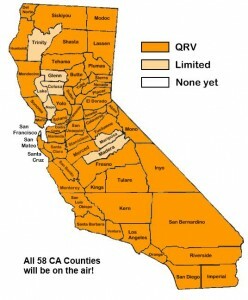 Unfortunately due to our remodel in 2011, I was unable to participate in the CQ WPX CW. Go back just 2 years and I posted one of my best overall performances in ANY contest to date. Again, I didn’t win the contest in my category (Single Operator, High Power, All Bands), while placing 19th out of 71 operators in that category. The best part of this contest is that you get to work EVERYBODY! It’s also a contest where the other station’s prefix (like W6 or WD6, etc) are multipliers. If you work stations on the low bands (40/80M) they are worth double the points. If you work stations on other continents, they are worth more than if I work many domestic stations. So this is my best opportunity to score 1 million points in a contest. John, K6MM and Dean, N6BV made a presentation back in 2010 at our May meeting of the Northern California Contest Club. After seeing the numbers as presented by K6MM and the outlook for propagation, even an operator like my could put up 1 million points. I had grand visions of that goal back in 2010, but sleep got the better of me when the sun went down. From that point on I was behind the goals I had set, unable to recover. This year hopes to be a different story, especially if the solar weather picks up in the next month with an increase in sunspots. Regardless I will attempt to put a full weekend into contesting in order to achieve my 1 million point goal. Getting back to the band information, as long as I can stay awake, the low bands (40/80M) should be worth their points in gold. Even 6-8 hours when the sun goes does should provide me with the push I need to make 1 million points. The great think about this contest is I only need to make 27 contacts per hour and I will achieve my goal. Currently I have working up the details on a spreadsheet I use for where my antenna will be pointing, possible contacts per band, broken down into different categories based on points. I also have to figure out a sleep schedule, which could be during the day, as opposed to night time when points are at a premium. Still some work to do before the contest arrives, but planning is always a key when it comes to contesting.